My early work in online education was in the post-secondary and professional development realms. For example, I helped create an online learning lab during my year teaching in Poland. I stayed an additional year at Michigan State to work with them on their online Master’s degree. And, when I went to the University of Florida, our team collaborated to create an online Master’s Degree and an online Educational Doctorate. More recently, my research has focused on online and blended teaching and learning at the K-12 level. For example, I was funded to study K-12 online learning by the North Central Regional Educational Laboratory. I was also funded by the BellSouth Foundation to study state-led virtual schools (later the AT&T Foundation). 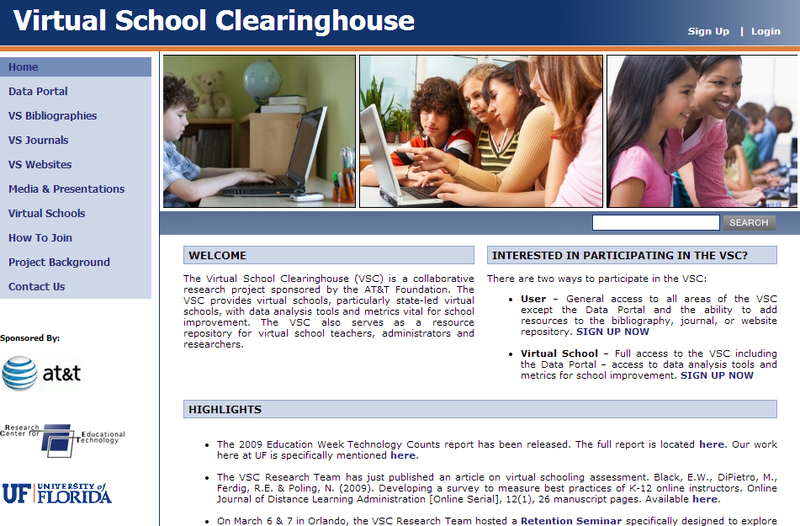 The culmination of that work can be found in my writing and in the development of the Virtual School Clearinghouse. I led the creation of the VSC in order to help virtual schools collect and edit data. The VSC also provided information for parents, teachers, and administrators who want to learn more about K-12 Virtual Schooling. The VSC is no longer updated; however, it disseminated much of its content to the Research Clearinghouse for K-12 Blended and Online Learning.